Slip and fall accidents have happened in many different places including big box stores such as Walmart, Target and Costco. 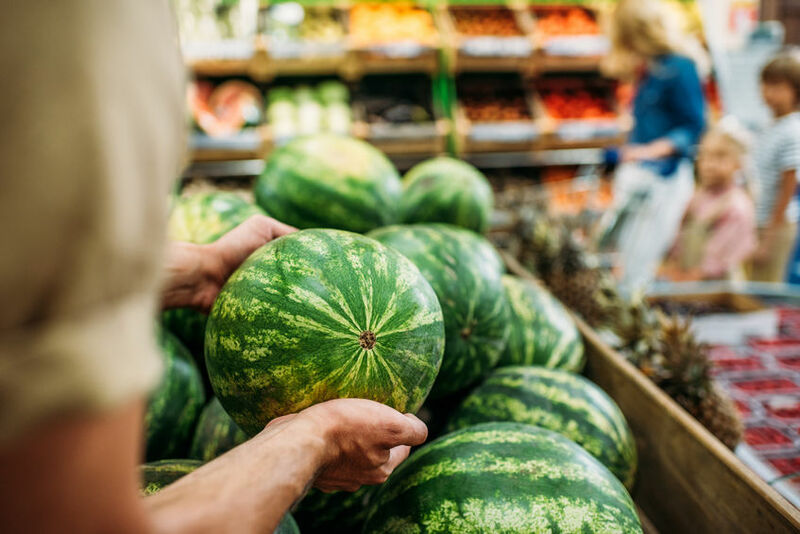 In 2017 an Alabama man was awarded a monetary settlement because he fell while shopping for watermelons at Walmart. A pallet causing the fall was hidden under a display of the fruit. The 3-times-a-week, basketball player shattered his hip. Now he needs a walker to get around. Walmart was found to be the fault, but not all accidents in big box stores are deemed the fault of the store. The burden of proof on the part of the plaintiff in Florida is high. To prove the store is responsible, the injured person must prove liability, negligence and responsibility or fault. Liability - A business or property owner has a “duty of care” for those who enter its property. Responsibility/Fault – Should a business or property owner not use reasonable care and a person is injured because of this lack of care, then it can be found responsible. If someone is injured in a slip and fall he/she must get a lawsuit filed against the property owner within four years of the incident according to Florida Statute section 95.11(3)(a). Seek medical attention immediately. Do not try to “tough it out.” There are some injuries that may not become apparent immediately. There are also injuries which may seem minor at first but later turn out to be more serious. Gather evidence starting at the scene. Take a lot of pictures, if possible, before evidence is lost. These pictures should include panoramic shots and close-ups. Do not speak with the store employees. Large stores such as Walmart have dealt with many accidents such as yours. They know how to ask the right questions which could be used against you in a potential lawsuit. Do not wait. Remember the statute of limitations in Florida is 4 years, but the sooner you contact us the better for your case. You do not want memories to fade, witnesses to disappear, or evidence to be lost. “There are no costs or attorney fees unless we make a monetary recovery for you. Be sure to contact Spivey Law Firm, Personal Injury Attorneys, P.A. immediately following a slip-and-fall accident so we can determine your rights,” said Fort Myers Slip and Fall Accident Attorney, Randall Spivey. Fort Myers Slip and Fall Attorney, Fort Myers Car Accident Attorney, Randall L. Spivey is a Board Certified Trial Attorney – the highest recognition for competence bestowed by the Florida Bar and a distinction earned by just one (1%) percent of Florida attorneys. He has handled over 2,000 personal injury and wrongful death cases throughout Florida. For a free and confidential consultation to discuss your legal rights, contact the Spivey Law Firm, Personal Injury Attorneys, P.A., in Lee County at 239.337.7483 or toll free at 1.888.477.4839,or by email to Randall@SpiveyLaw.com. Visit SpiveyLaw.com for more information. You can contact Spivey Law Firm, Personal Injury Attorneys, P.A.in Charlotte County at 941.764.7748 and in Collier County 239.793.7748.